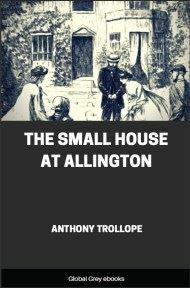 The second of Trollope's 'Palliser' novels introduces its title character, Phineas Finn, a talented but naive doctor's son from Ireland with Parliamentary aspirations. He must make numerous practical and ethical choices regarding his career, his political beliefs, and his romantic life, in hopes of emerging with his character, reputation, and prospects intact. Dr. Finn, of Killaloe, in county Clare, was as well known in those parts,—the confines, that is, of the counties Clare, Limerick, Tipperary, and Galway,—as was the bishop himself who lived in the same town, and was as much respected. Many said that the doctor was the richer man of the two, and the practice of his profession was extended over almost as wide a district. Indeed the bishop whom he was privileged to attend, although a Roman Catholic, always spoke of their dioceses being conterminate. It will therefore be understood that Dr. Finn,—Malachi Finn was his full name,—had obtained a wide reputation as a country practitioner in the west of Ireland. 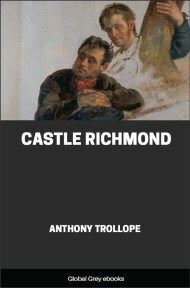 And he was a man sufficiently well to do, though that boast made by his friends, that he was as warm a man as the bishop, had but little truth to support it. Bishops in Ireland, if they live at home, even in these days, are very warm men; and Dr. Finn had not a penny in the world for which he had not worked hard. He had, moreover, a costly family, five daughters and one son, and, at the time of which we are speaking, no provision in the way of marriage or profession had been made for any of them. Of the one son, Phineas, the hero of the following pages, the mother and five sisters were very proud. The doctor was accustomed to say that his goose was as good as any other man's goose, as far as he could see as yet; but that he should like some very strong evidence before he allowed himself to express an opinion that the young bird partook, in any degree, of the qualities of a swan. From which it may be gathered that Dr. Finn was a man of common-sense. Phineas had come to be a swan in the estimation of his mother and sisters by reason of certain early successes at college. His father, whose religion was not of that bitter kind in which we in England are apt to suppose that all the Irish Roman Catholics indulge, had sent his son to Trinity; and there were some in the neighbourhood of Killaloe,—patients, probably, of Dr. Duggin, of Castle Connell, a learned physician who had spent a fruitless life in endeavouring to make head against Dr. Finn,—who declared that old Finn would not be sorry if his son were to turn Protestant and go in for a fellowship. Mrs. Finn was a Protestant, and the five Miss Finns were Protestants, and the doctor himself was very much given to dining out among his Protestant friends on a Friday. Our Phineas, however, did not turn Protestant up in Dublin, whatever his father's secret wishes on that subject may have been. 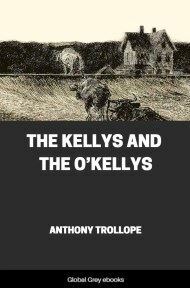 He did join a debating society, to success in which his religion was no bar; and he there achieved a sort of distinction which was both easy and pleasant, and which, making its way down to Killaloe, assisted in engendering those ideas as to swanhood of which maternal and sisterly minds are so sweetly susceptible. "I know half a dozen old windbags at the present moment," said the doctor, "who were great fellows at debating clubs when they were boys." 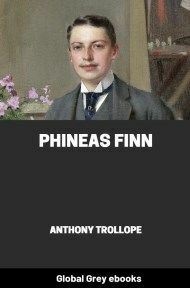 "Phineas is not a boy any longer," said Mrs. Finn. "And windbags don't get college scholarships," said Matilda Finn, the second daughter. "But papa always snubs Phinny," said Barbara, the youngest. "I'll snub you, if you don't take care," said the doctor, taking Barbara tenderly by the ear;—for his youngest daughter was the doctor's pet. The doctor certainly did not snub his son, for he allowed him to go over to London when he was twenty-two years of age, in order that he might read with an English barrister. It was the doctor's wish that his son might be called to the Irish Bar, and the young man's desire that he might go to the English Bar. 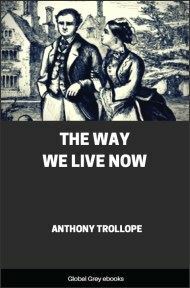 The doctor so far gave way, under the influence of Phineas himself, and of all the young women of the family, as to pay the usual fee to a very competent and learned gentleman in the Middle Temple, and to allow his son one hundred and fifty pounds per annum for three years. Dr. Finn, however, was still firm in his intention that his son should settle in Dublin, and take the Munster Circuit,—believing that Phineas might come to want home influences and home connections, in spite of the swanhood which was attributed to him. Phineas sat his terms for three years, and was duly called to the Bar; but no evidence came home as to the acquirement of any considerable amount of law lore, or even as to much law study, on the part of the young aspirant. The learned pundit at whose feet he had been sitting was not especially loud in praise of his pupil's industry, though he did say a pleasant word or two as to his pupil's intelligence. Phineas himself did not boast much of his own hard work when at home during the long vacation. No rumours of expected successes,—of expected professional successes,—reached the ears of any of the Finn family at Killaloe. But, nevertheless, there came tidings which maintained those high ideas in the maternal bosom of which mention has been made, and which were of sufficient strength to induce the doctor, in opposition to his own judgment, to consent to the continued residence of his son in London. 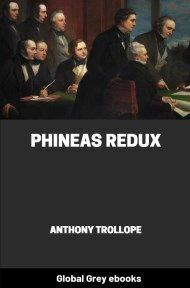 Phineas belonged to an excellent club,—the Reform Club,—and went into very good society. He was hand in glove with the Hon. Laurence Fitzgibbon, the youngest son of Lord Claddagh. 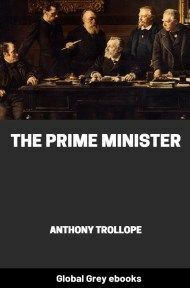 He was intimate with Barrington Erle, who had been private secretary,—one of the private secretaries,—to the great Whig Prime Minister who was lately in but was now out. He had dined three or four times with that great Whig nobleman, the Earl of Brentford. And he had been assured that if he stuck to the English Bar he would certainly do well. Though he might fail to succeed in court or in chambers, he would doubtless have given to him some one of those numerous appointments for which none but clever young barristers are supposed to be fitting candidates. The old doctor yielded for another year, although at the end of the second year he was called upon to pay a sum of three hundred pounds, which was then due by Phineas to creditors in London.